"Magic is something I've been enthralled with since a young age. From the Halliwel Sisters to Harry Potter I've always been the most fond of the card players and tricksters. 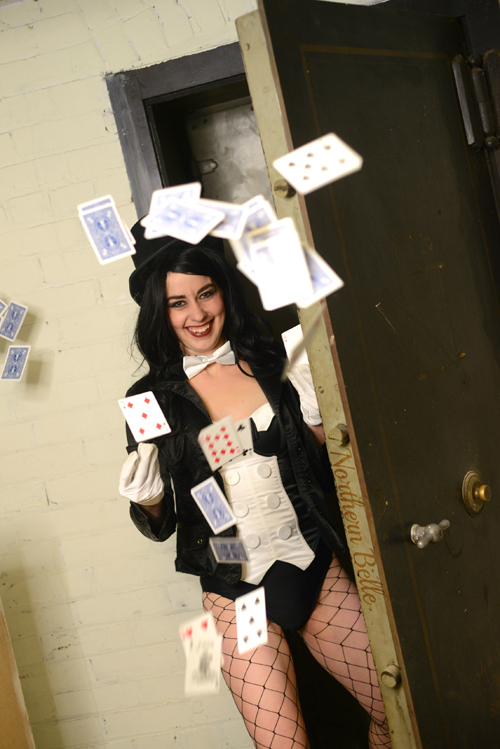 Only having read a tiny fraction of DC comics compared to Marvel, when I came upon the character of Zatanna I fell in love with her, she was basically the DC Fem version of Gambit. This was my first ever DC based costume and I had a lot of fun shooting with it. Between her sassy responses, epic ability to use magic and her playful nature I think this is definitely a character I'd like to reprise."